We would advise and warn consumers against buying food on credit, as it will have a negative impact on overall debt. 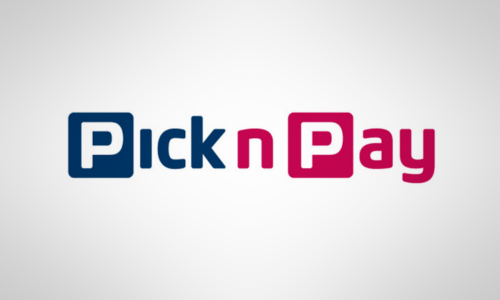 Pick n Pay has moved to allay fears that it is preying on South Africa’s most vulnerable with its recently-launched store credit offering, saying that it is trying to offer the fairest package it can, with no hidden costs. According to BusinessTech, the credit product will function with the group’s current Smart Shopper rewards card, and will allow customers to purchase groceries on credit for between R1 000 and R40 000 – depending on how much each individual qualifies for. The agreement carries no initiation fees, no transaction fees, and a monthly service fee of R10. Pick n Pay Deputy CEO, Richard van Rensburg said on Monday that the retailer is following the National Credit Act (NCA) strictly, and even conceded that it was not a good idea to buy consumable items like food on interest-bearing credit. Van Rensburg stressed that the Pick n Pay product did not charge any interest, provided customers pay the full amount due by the end of the month. The credit offer also has a debt insurance available as an additional buy-on. What happens when consumers can’t pay? Pick n Pay markets its credit agreement as not carrying any interest, as long as consumers pay up in full by the end of the month. However, the actions taken when consumers fail to pay are hidden in terms and conditions. Pick n Pay’s credit product is underwritten by RCS, and the group’s terms and conditions for Pick n Pay credit, when customers fail to pay their dues at the end of the month. A custom interest rate kicks in, which is charged on a daily basis and compounded at the end of the month. Your interest rate will be shown to you on your initial sign-up, based on your own credit assessment, however the RCS says it cannot be higher than the maximum allowed by the Credit Act. With the repo rate at 6.75%, this is around 28% per year, for unsecured credit. Obviously these terms and conditions are standard, and reflect most credit agreements – however, one must take note that it’s these same charges that often lead to consumers becoming over-indebted. Debt counsellors have warned consumers against going this route, saying that if you are at a point of having to purchase food on credit, you’re already in major financial trouble and you should seek debt review assistance. Debt review companies offer debt solutions that caters to your financial needs.